Meet Stacy Pendarvis, the Program Director for the Monique Burr Foundation for Children! 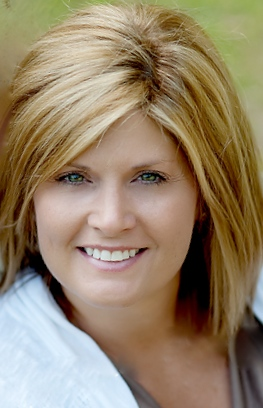 Stacy’s role is to oversee all program efforts related to the MBF Child Safety Matters and MBF Teen Safety Matters programs, and all prevention related activities. A social worker and educator with two master’s degrees and twenty years of experience in the child welfare and prevention field, Stacy has educated thousands of adults and children on various child protection issues and has managed multiple community and agency projects related to child protection. Her current work with MBF includes topic research and resource development, curriculum design and updates, and facilitator training, alongside providing community awareness events and professional development training. Stacy lives in the Jacksonville area with her husband and three daughters. To get to know Stacy a little better, she’s answered a few questions about being a member of the MBF team, and why the safety of children and teens is important to her! Q: When did you join the Monique Burr Foundation Team? I’ve worked in the child abuse prevention field for over 25 years, but when I joined the MBF team 6 ½ years ago, it was the first time I focused on educating children versus adults with child safety strategies. The philosophy that adults are responsible for protecting kids has been around for decades, and I spent most of my career believing that. I still believe that, but I also know adults are often the perpetrators of abuse, so educating kids makes sense. If they are taught in a developmentally and cognitively appropriate way, there are many things kids can do to help themselves be safe. I’m proud to be a part of an organization that recognizes that! Q: How do you carry out the Foundation’s mission to provide bullying and child abuse prevention education? The MBF staff is truly a team, and protecting children with our programs is a total team effort. However, as the program director, it is my responsibility to make sure the prevention and safety programs we offer are the best that exist and that they really protect children. I do a lot of reading and research, and work with many national experts to ensure our programs are effective. Q: What does “Child Safety Matters” mean to you? It means that abuse and victimization hurt not only the victims, but everyone in our society. There are so many consequences from childhood trauma, such as substance use, mental and physical health problems, academic failure, etc… and it costs taxpayers millions of dollars every year to investigate and treat victims. So, for many reasons I believe that child safety does matter, and it should matter to everyone. I see so many stories in the media and on social sites where citizens are outraged about so many things and I always have to wonder why those same people aren’t outraged at the victimization of innocent children. Q: Do you have any advice for someone who wants to become a Champion for Child Safety? There are so many things people can do to help protect children. It’s easy to get involved and it doesn’t have to be in big ways. Ensuring children receive safety and prevention education, helping a family that is struggling, talking to kids about safety, donating or volunteering their time to organizations that protect kids, recognizing signs of abuse and reporting it are all things that any of us can do to be a Champion for Child Safety! Q: What inspires you to do your very best to keep children and teens safe? I have three children, and every day I look at them, I see them in their beds safe at night, loved, cared for, and treated well, and I wish that for every child out there. That’s what inspires me. Q: What has been the proudest moment in your position so far? Our facilitators, who are really the ones helping us protecting kids, often send us emails and share stories of how kids are using the Safety Rules to stay safe. When I read those stories, any of them, I’m so moved. I know this program works to help kids be safe, and I’m proud to be a small part of that. Q: When you’re not helping keep children and teens safe, what do you enjoy doing in your free time? I love to travel and spend time with my kids. They grow up so fast and I know it’s only a matter of time until I won’t get to see them every day. I take the time to enjoy every moment with them, to listen to their crazy stories, watch them play softball, or just laugh at our crazy dogs. They amaze me every day (and often drive me crazy all at the same time). I just cannot imagine how anyone can hurt a child, they are life’s biggest blessing. Stay tuned for more installments in the Meet the MBF Staff blog series to get to know our team!